Feb. 17, 2019, 11:25 p.m. 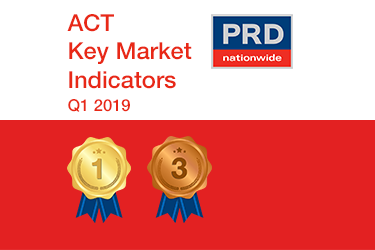 The Australian Capital Territory (ACT) continues to perform in the PRDnationwide Q1 2019 Key Market Indicator Awards; earning 4 gold, 1 silver, and 1 bronze award nationally. The ACT has once again earned the gold award nationally for the highest home loan affordability index reading, at 50.0 index points in the September quarter of 2018. This is a 4.4% increase within a 12-month period, previously at 47.9% in the June quarter of 2018. Feb. 17, 2019, 11:15 p.m. The Northern Territory (NT) showed strong economic fundamentals towards the end of 2018, preparing for high performance in 2019. The NT earned 3 silver awards nationally in the PRDnationwide Q1 2019 Key Market Indicator Awards for: highest home loan affordability index reading, highest growth in dwelling approvals, and highest median weekly family income. The NT also earned 3 bronze awards nationally for: most improved number of first home buyer loans, most improved home loan affordability index growth, and most improved unemployment rate. Feb. 17, 2019, 11:10 p.m.
South Australia (SA) showed steady economic fundamentals in late 2018, which are set to continue in 2019. The unemployment rate in SA was 5.9% in December 2018, which showed no change when compared to the 12 months prior. This is good news, as there has been no loss in the number of people employed and contributing towards the economy. Feb. 17, 2019, 11:06 p.m. The number of first home buyer loans approved in Tasmania (TAS) in the September quarter of 2018 was 483 loans, which is a significant 25.1% increase compared to the 12 months prior. This has earned TAS a gold award nationally in the PRDnationwide Q1 2019 Key Market Indicator Awards, for the most improved number of first home buyer loans. This confirms TAS as a haven for first home buyers, as it eclipses the 12-month growth to March quarter 2018 of 6.9%, and the June quarter 2018 of 20.5%. Feb. 17, 2019, 11:02 p.m.
Victoria (VIC) continues to prove itself as “the winning state” as we enter 2019, earning the highest number of gold awards nationally in the PRDnationwide Q1 2019 Key Market Indicator Awards. VIC earned gold awards nationally for: highest number of first home buyer loans, highest number of dwelling approvals, most improved unemployment rate, highest growth in median weekly family income, and highest nett migration. Feb. 17, 2019, 10:51 p.m.
Western Australia (WA) had the highest growth in home loan affordability across Australia, taking out the gold award nationally at the PRDnationwide Q1 2019 Key Economic Indicator Awards. The home loan affordability index grew by 5.3% over the past 12 months (to the September quarter of 2018), sitting at 44.0 index points. This is significantly higher than New South Wales (27.3 index points), Victoria (29.5 index points), and Queensland (35.5 index points), as well as the Australian average of 31.9 index points. Feb. 13, 2019, 6:49 a.m.
Ashmore* recorded a median house price of $586,500 and $334,000 for units in Q4 2018. This represented an annual (Q4 2017-Q4 2018) price softening of -5.4% for houses and -3.5% for units. 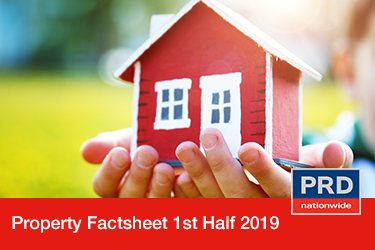 Compared to the Ashmore* 2nd half 2018 Research Factsheet, which reported an annual (Q2 2017 – Q2 2018) price change of 1.5% (house) and 2.8% (units), properties in Ashmore* has become more affordable. Now is an ideal time for first home buyers to tap into the market and take advantage of a softening market.